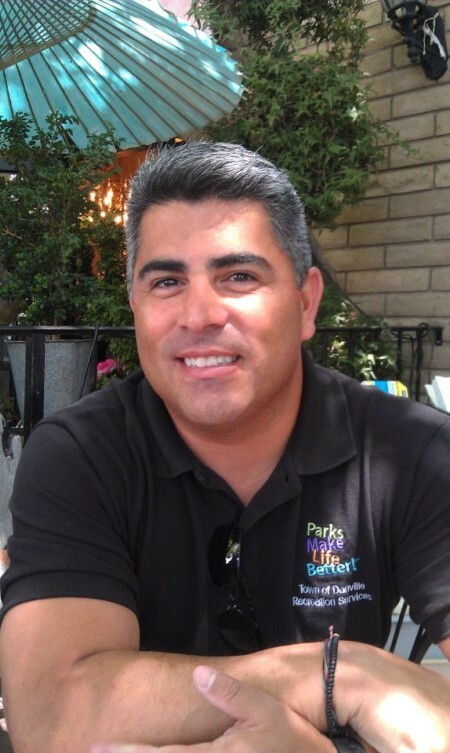 Henry Perezalonso is the Recreation Services Manager for the Town of Danville and a graduate from the Leadership San Ramon Valley program in 2013. Henry holds a national certification as a Certified Park and Recreation Executive and for over 25 years has been in the Parks and Recreation profession both in the public and private sectors. In his current position he provides the leadership and management in the development and accomplishment of Town and department goals & objectives in the areas of cultural arts, youth and teen services, sports and fitness, adult and senior services, special recreation and facility management. Henry, a Bay Area native and United States Marine Corps Veteran currently lives in San Ramon with his wife and two daughters. He enjoys serving his community and profession as he holds positions on the Leadership San Ramon Valley Board, San Ramon Valley Girls Athletic League Board and the California Park and Recreation Society’s State Board of Directors.